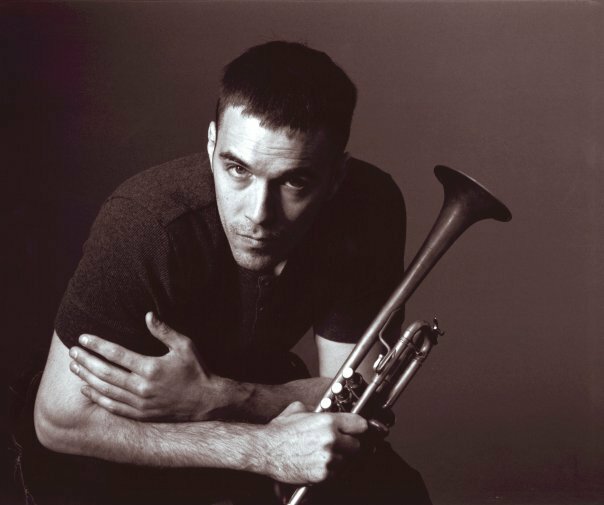 Andrew Sorg is an active performer, composer, chamber musician and trumpet teacher in the Boston area. Originally from New Jersey, he began playing trumpet at the age of eight. A graduate of The Boston Conservatory, Andrew is a proud member of two award winning ensembles, The Atlantic and Triton Brass Quintets. He is the recipient of the bronze and silver medals at The Fischoff Chamber Music Competition, The Spedidum Prize at The International Lyon Chamber Music Competition, and the Grand Prize Winner at The New York City Brass Conference Brass Quintet Competition and nine international chamber competitions with the grammy nominated Atlantic Brass Quintet. He has also performed with the Paramount Brass, The Innovata Brass, Bala Brass, The Royal Brass Quintet, The Nashua Symphony and Vermont Symphony Brass Quintets and is a member of The Old South Brass Ensemble. Andrew has performed with various orchestras such as The Boston Ballet, The Boston Lyric Opera, The Vermont Symphony, The Iris Orchestra, Opera Boston, Opera North, SymphonyNH, The Tanglewood Festival Orchestra, The Portland Symphony, Emmanuel Music of Boston and was a soloist with Vermont Mozart Festival Orchestra, the Gardner Chamber Orchestra, The Vermont Symphony and The New Bedford Symphony. He has performed under some of the world’s top conductors and made recordings with The Vermont Symphony, The Vermont Symphony Brass Quintet and The Old South Brass Ensemble under Albany and Denouement Records. As an educator he holds teaching and residency positions at Boston College, The Boston Conservatory, and formerly The Boston University Tanglewood Institute, in addition to The Atlantic Brass Seminar in Boston, MA. He has given master-classes at The Boston Conservatory, Calvin College, Tennessee Tech, University of Alabama, Auburn, MIT, New England Conservatory, Umass Amherst and Juilliard, among others. He has worked with The Vermont Youth Orchestra and The Boston Youth Orchestra. He is a faculty member at Boston College, The Powers Music School, The Concord-Carlisle Music School and formerly The University of Connecticut 2013-14. His students have won first chairs in Massachusetts Central Districts, North Eastern Districts, Eastern Districts, South Eastern Districts, All-State , participated in All-Eastern and gone on to some of the top music schools in the country. As a composer, Andrew has written over 40 hip-hop songs, released a hip hop album and two brass quintets. His brass quintet “Mental Disorders” was premiered and recorded by the Triton Brass Quintet in 2011 at The Massachusetts Institute of Technology. It was also recently featured at The Boston Conservatory’s new music festival for composers under 40, November 9, 2012. In the summer of 2014, The Atlantic Brass Quintet premiered and recorded “Voices In Da Fan.” A four movement epic piece about the woes of insomnia.